Basil seeds are also known as sabja , subja , takmaria , tukmaria , falooda or sweet basil and originate from India. These superfoods are today new Chia seeds according to many consumers. 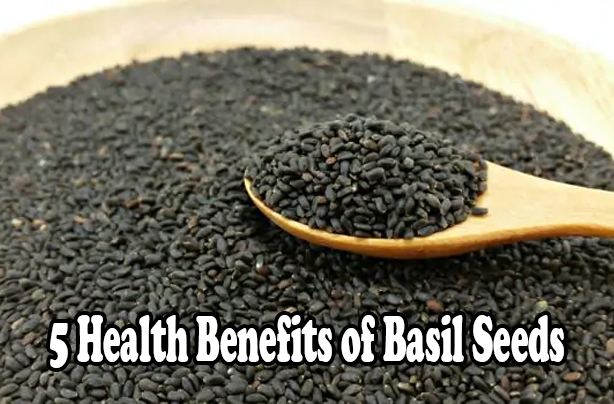 Basil seeds have been used for a very long time in Asia, especially in Ayurvedic and Chinese medicine and have many health benefits and versatility. Basil seeds are rich in protein, healthy fats, carbohydrates, minerals, vitamins and fiber. Basils seeds are rich in minerals such as magnesium and calcium, which are essential for your bone and muscle health. Basil seed also contain iron, which is good for those who don’t eat meat. These seeds are packed with soluble fiber which can improve the cholesterol levels, control blood sugar levels, and improve hormone levels that can make you feel full for a longer period of time. Basil seed are today new chia seeds, because of their similarity in the nutritional content. Basil seeds are great for preparing smoothies, drinks or puddings, because they can swell within a couple of minutes, while chia seeds take a few hours to swell. 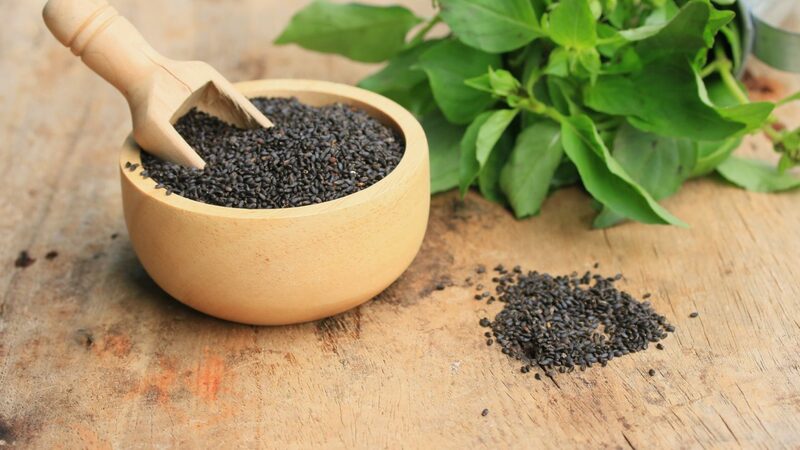 Although they have a very similar taste, basil seeds have slightly more carbohydrates and less fat than chia seeds. Instructions: Soak the basil seeds in some water for at least 10 minutes. Add almond milk, low-fat yogurt and fruits and mix everything well. Mix all the ingredients well. It is recommended to drink it fresh, if not it can be refrigerated for 1-2 days. Basil seeds are great source for omega-3 fat. Just 13 grams (1 tbsp.) of basil seeds supply your recommended daily intake for omega 3-fat. 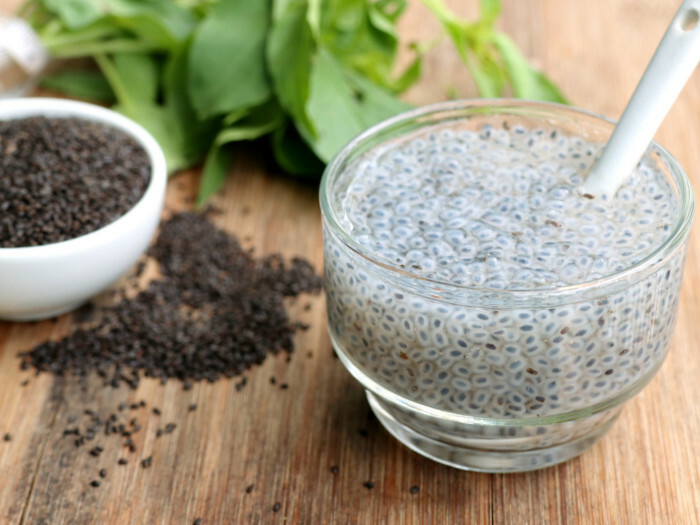 The high content of omega makes the basil seed good for your nerves and brain health. They also improve your blood circulation. Basil seeds are rich in vitamins and minerals that can boost your immunity, regulate the blood sugar levels and prevent colds and flues. The Vitamin K is also responsible for cleaning the vessels and strengthening the bones. Due to high content of vitamin K, the basil seeds are also good for your hair, making it healthier and look shinier. Basil seeds are rich in flavonoids, antioxidants that can protect your cells from damage by free radicals. The higher intake of flavonoids can also prevent heart related diseases. Basil seeds have anti-inflammatory, anticancer and antibacterial properties. That’s why these seeds have been used in Ayurvedic nutritional medicine for generations.